I had never come across any books by Thomas Locke before, but when I saw the cover of Enclave and read the back cover copy, I was immediately intrigued. 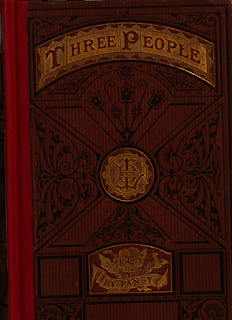 The cover design is fabulous as is the interior layout of the book. The publisher, Revell, has put together a very handsome looking volume here. But none of that really matters if the story doesn't live up to it. So let's get into that. Enclave is a dystopian thriller set in an America far in the future. The country is a nearly unrecognizable version of our current society save for a few of the place names. Life in this world is full of perils and lawlessness is everywhere. Most citizens have reverted to primitive means of transportation and the barter system is the dominant means of exchanging goods and services. It is right in the middle of this chaotic world that the reader is dropped with the first sentence of this book. Nearly one hundred years have passed since the Great Crash. What was once America is now a collection of enclaves, governed at the local level and only loosely tied together by the farce of a federal government. Catawba, one of the largest and most affluent enclaves in the southern region, is relatively stable. It maintains successful business relations with nearby enclaves. But when a new vein of gold is discovered beneath the feet of its citizens, it's only a matter of time before trouble finds them. 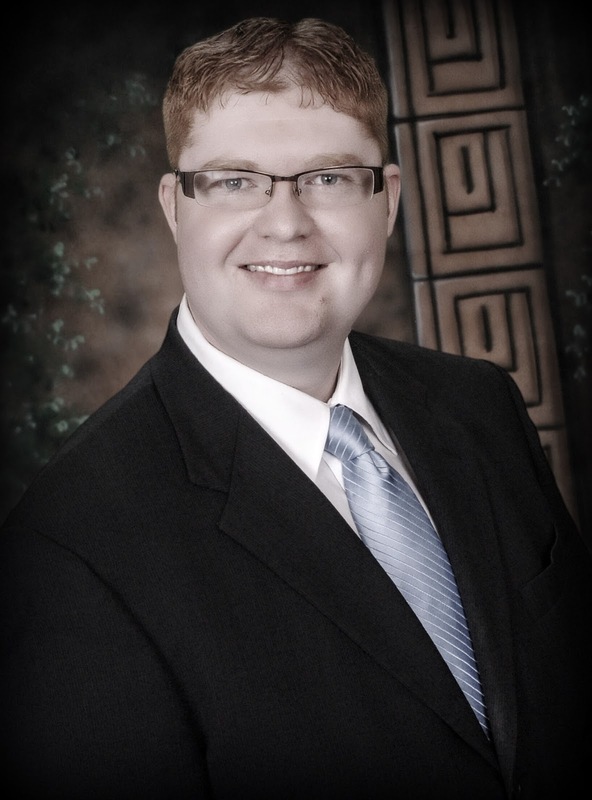 Now Catawba's fate depends on an untried young trader named Caleb. Could his plan help secure the enclave's future? Yet Caleb is keenly aware that if his secret were exposed, he would not live to see another dawn. We begin the story following a deputy sheriff named Kevin who is smuggling refugees into the more densely populated townships. Right away, I liked this character and his strong morals. He is a fascinating character and just as I was trying to wrap my mind around all the challenges of the story world, we get dropped into a rural setting and are introduced to Caleb, who is our main protagonist. Caleb is also an interesting character. He's very different from Kevin in almost every way, yet when the two of them cross paths the resulting story was one that just kept me turning the pages. There are many different elements in this story that really kept my attention. The plot is quick-moving; there is continual action, and our main characters are seemingly continuously trying to evade capture with danger around every bend. That certainly was a factor that helped keep me glued to the book. But it was also because of a very interesting story element that the author introduced; that of certain characters being blessed (or cursed) with unique powers. Before you start thinking that means weird "woo-woo" magic, it's really not. But I don't want to say anymore so as not to spoil anything. Just rest assured, that there are explanations for these abilities given in the book. Overall, this book was a real page-turner and I thoroughly enjoyed reading it. I will certainly be checking out other titles by Thomas Locke. 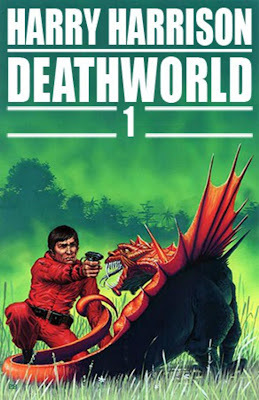 I only docked the rating by a half point because of a couple of odd happenings in the last few chapters that just seemed a little illogical and unbelievable, even for this extraordinary world that the story is set in. Other than that, this is a fabulous book that I highly recommend to lovers of action and adventure. 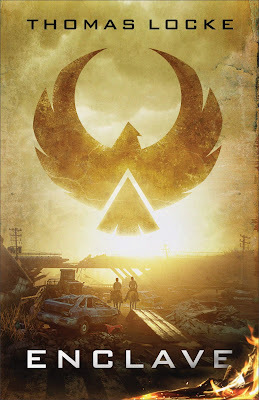 And while dystopian fans will no doubt enjoy Enclave, I don't think you have to be a regular reader of dystopian tales to still find it a great read. J.D. 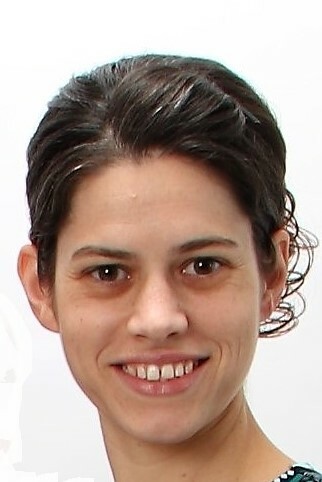 Sutter is the producer and host of the Bookworm Banquet podcast and editor of the blog. He is the founder of Porchlight Family Media, a network of quality audio programming and review blogs based in Phoenix, AZ. Disclosure: The publisher provided us with a free copy of this book for promotional purposes. This post contains affiliate links. I am not a huge science fiction fan, but I really enjoyed this classic sci-fi tale. There is lots of action as well as plenty of standard sci-fi fare such as interesting gadgets and gizmos and interplanetary travel. There are interesting creatures on the various planets, some who are like pets and others who are beasts of burden, but there are also many other species of animals that are hostile towards the human occupants. The most compelling part of the book to me was the great characters, especially the protagonist, Jason. He's a fascinating character that I really liked getting to know. Kerk, Meta, and others were also fascinating characters. Despite the ominous sounding title, the book is not as dark as one might expect. The title is mainly a reference to the large number of animal species that are a continual threat to the humans on the planet of Pyrrus. There is some violence and there are several deaths with a couple being a bit graphic, but not egregiously so. There is a small romantic element, though it doesn't go much past flirting and a couple of kisses. This is really a character-driven story with some really interesting ideas that are explored. I look forward to reading the next books in this trilogy. 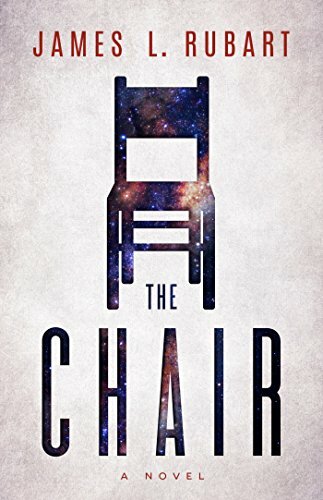 I'd recommend this to any fan of sci-fi and to the general reader who really likes stories with interesting characters and themes that get you to think. Easter is Coming! 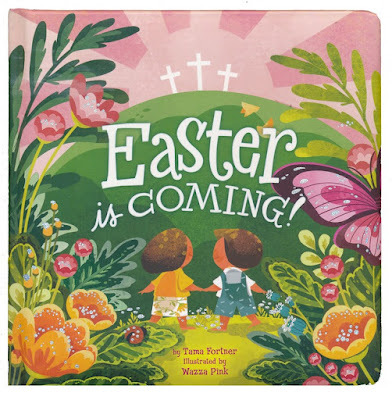 is a children's board book newly released in time for Easter! This book makes no references to bunnies and eggs and Spring dresses. It is a chronological look at the Biblical events leading up the resurrection of our Lord and Savior Jesus Christ - the real Easter message! 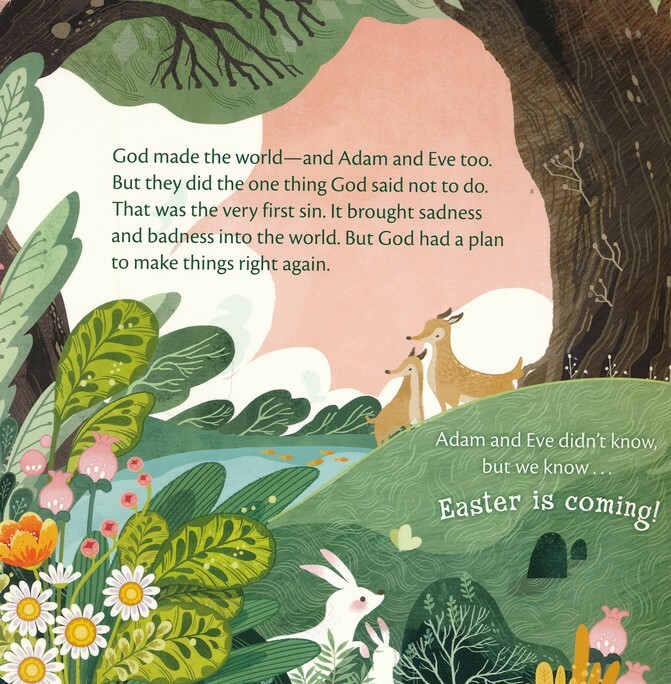 The author has done an excellent job using age-appropriate language and encapsulating an entire story into three to four sentences that clearly show the connection to Easter. Every story section ends with the phrase, "Easter is coming!" My young nonreaders enjoyed joining in on that last phrase at the end of each story. 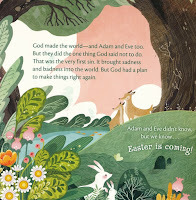 This was an enjoyable retelling of the joy and promise that is Easter! Mommy and her little ones are settling in for story time, and this time it’s the biblical story of Easter that she’s telling. 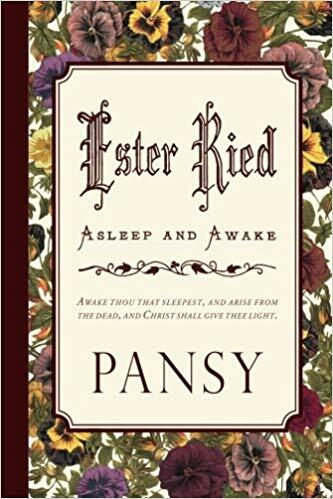 As the youngsters hear God’s tale unfold with its sometimes somber notes about sin and death, they are softly and continually reminded, “But Easter is coming!” By the end of the book, the anticipation has built and the children can celebrate the ending and the glory of Easter Sunday. In a time when children’s Easter excitement often focuses on only egg hunts and candy, this book offers a different—and true—reason for joy and expectancy. 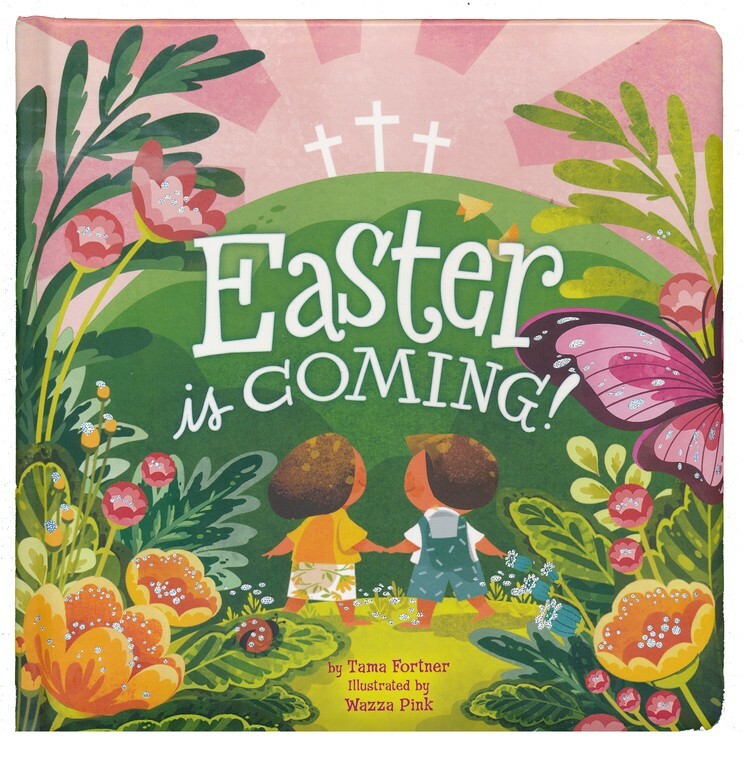 It's designed to be read and reread on the days leading up to Easter, telling the greatest story and building a sense of anticipation and celebration in little hearts. This sturdy board book has delightful spring colors and interesting pictures. I would recommend it for children aged 2 - 7. On a personal note, the artist has depicted Jesus and a few disciples with long hair which is not my personal preference. It doesn't detract from the story, but it was a source of irritation for me. This book is a great way to bring the message of Easter back to a beautiful holiday. NOTE: The back cover states that there is bonus content for this book at bhkids.com, but we could not find anything for this title. Check out Easter Is Coming on Amazon. Stephanie Garrett is a busy homeschooling mom of three who somehow always finds time to read. She has been a voracious reader since childhood and even won a bicycle in elementary school for having read the most books! She enjoys learning and growing and never turns down an opportunity to try something new. Her first love is the Lord and service to Him, second is family, and third...is reading. She believes that anyone who learns to read with comprehension can go anywhere and do anything! She also enjoys music, theatre, sewing, and mathematics. 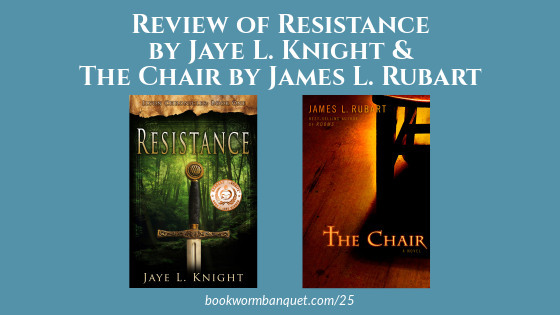 Editor's Note: This review is a guest post by Rebecca Grzybowski. What an interesting book. The mix of history with the modern was fun to read. I really enjoyed how the author incorporated letters from a journal into a modern story. I was pulled into those journal entries and almost, almost skipped ahead just so I could keep reading the entries! I loved how relatable the characters were. They were both down on their luck, poor, and struggling with their own financial issues. I loved how the author was able to accurately capture Millie’s emotions in dealing with her grandmother, her financial state and how she coped with it all. I found Millie relatable and her coping methods familiar. Ben, a security guard by trade, is a history-loving academic who wants to fix the problem his mother caused. He wants to make restitution and working three jobs seems the only way he can, until he catches Millie in an area she is not supposed to be. When she offers him a cut of a mysterious treasure, it almost seems too good to be true. His character is strong throughout the story and I love how the relationship between him and Millie progresses. “You’re sure quick to give up on love for someone who reads so many romance novels...Don’t you think that true love is patient and kind and it doesn’t hold a grudge? What kind of drivel is in those books you read if they’re not showing you that kind of love? Real love isn't love because it’s easy or always feels good. It’s love because you choose not to be self-serving.” (Johnson, p. 324). How true is this?! My husband and I have been married for a little over a year, and while the first year was amazing (I can say that because I still consider myself a newlywed! ), we still had our ups and downs. Love isn’t all butterflies and roses, it’s working at staying connected and invested and loving the other even when it is hard. It is picking up the dirty socks left all over the house and all those other little things that make up life. Anyway, I really enjoyed this book, the history and the real-life relationship advice it gave. I would recommend this book to romance lovers ages 16+. If you like a little bit of mystery mixed with a sweet romance, this is for you. 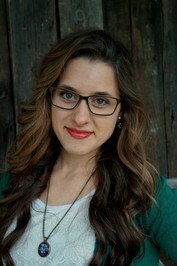 Rebecca Grzybowski is a lover of good books, adorable owls and adventures. Whether contemporary romance, historical fiction, or a good fantasy novel, she can be found reading with a chai latte in hand during her free time. She lives in the gorgeous Mitten State with her handsome hubby and newborn baby boy. JD is joined on the show by author and Bookworm Banquet blog contributor, Victoria Lynn, as Nicole is still out on assignment. 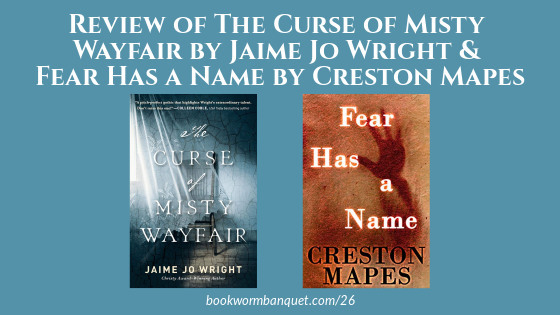 Victoria reviews the latest release from Jaime Jo Wright and JD reviews a suspense thriller by an author he discovered via an ebook newsletter. Also in this episode is JD's Tip about accessing the world's largest library and Victoria steps into Nicole's shoes again and brings a Bookworm Fact about a book that you read out of order. Are Audiobooks As Good For You As Reading? ...is about an out of order book. ...is WorldCat, your gateway to the largest library network in the world. Listen to the episode for the details of the giveaway. Entries close end of day on April 15th. Today's episode is brought to you by Audible - get a FREE audiobook download and 30-day free trial at www.audibletrial.com/bookworm. Isabella Alden is an author that I have no idea how I first discovered. Her books captured my attention and my heart when I was in my early teens and I have read them numerous times since then, each time getting something new, deep and spiritually encouraging. Alden wrote with a heart to see the world changed and I was blown away by the amount of conviction that was incredibly evident in her books. Isabella Macdonald Alden was an American author. Her first book, Helen Lester, written for a contest, was at the age of 20. 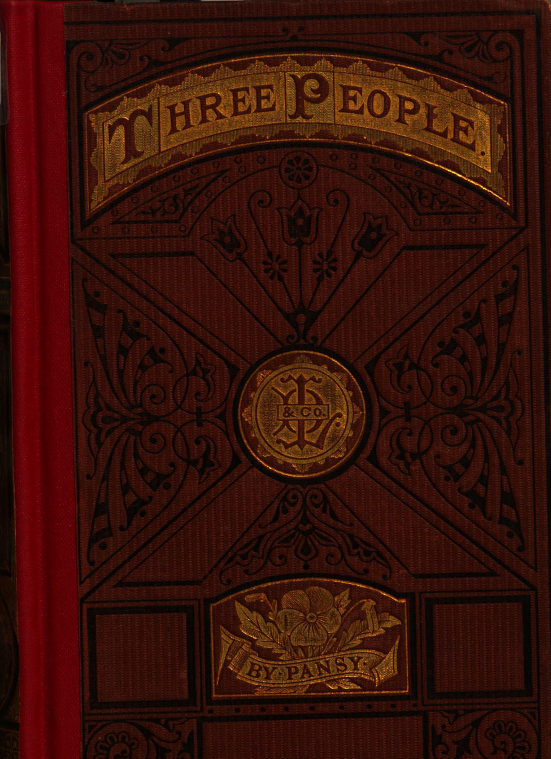 She wrote approximately 75 Sunday school books, and a number of volumes of fiction for older readers, as well as The Prince of Peace, a life of Christ. She wrote on the subjects of love to God and love to her fellow-men. Alden dedicated her work to the advancement of the Christian religion in the home life and in the business life. 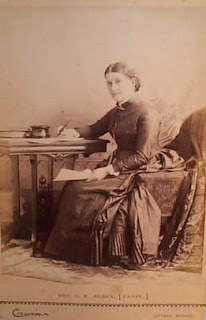 She served as president of the Missionary Society, superintendent of the primary department of the Sunday School, identified with the Chautauqua assemblies, and prepared the Sunday School lessons for the "Westminster Teacher". Some of her best work were fiction stories that combined the harsh realities of the world at the time, characters that tugged on your heart strings and messages that were strong, crisp, and crystal clear. Her work deserves far more recognition than it gets and there are very few that I have met who have heard of her work, let alone read them. A random fun fact about Isabella Alden is that she often went by the name of Pansy and she was an aunt to another of my beloved forgotten authors, Grace Livingston Hill. It was incredible to realize what kind of legacy she passed down to her niece. You can read the post I wrote about Grace Livingston Hill here. This book is the standout novel to me as it is the one that affected me most deeply and one that I have read so many times. The story parallels the lives of three boys, all born on the same day, but born into vastly different circumstances. Watching their lives drift apart and converge in a dramatic and heartrending climax and finale will leave you in tears, or at the very least holding your heart. One of Miss Alden’s most prominent of messages, that of abstinence, is featured very strongly in this book. In an era where the world was running away with alcohol, she told a very real and sad story that outlines what can become of those who do not consider the dangers of addiction. 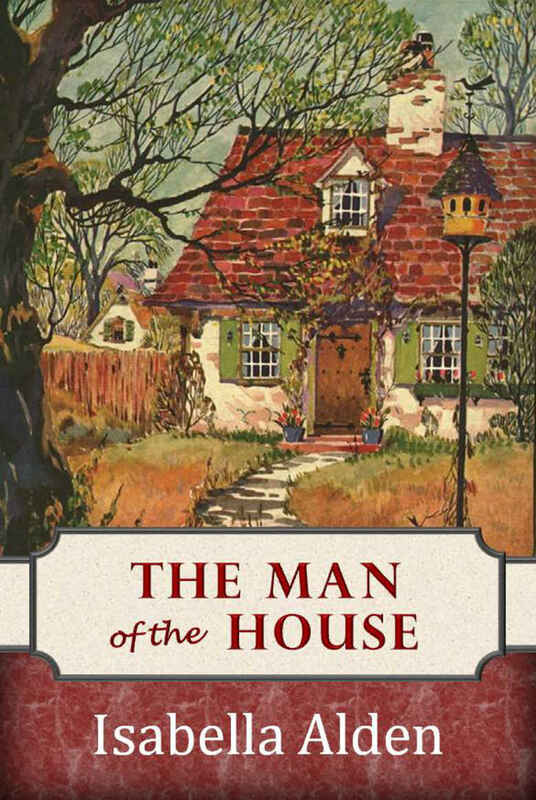 The Man of the House - First Published in 188? This one I read when I was quite younger and I would highly recommend it to teens. The story of a young boy who must provide for his family prematurely and his deep and unwavering faith in the God that he serves was a story that shaped me and my siblings in our growing up years. 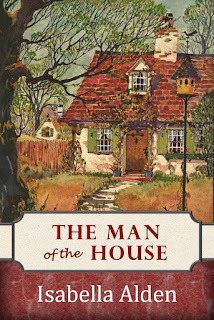 The Man of the House on Amazon. This book heavily impacted me. It's the story of a girl without the Lord who has come to a place where all is drudgery and any joy has been sucked out of her life. The book follows her as she leaves home to meet her cousin, the infectiously joyful Abi and while there, discovers the source of all joy, our Lord and Saviour. Seeing the complete work that welcoming Christ into our life can do made this book a stand-out novel by Alden. 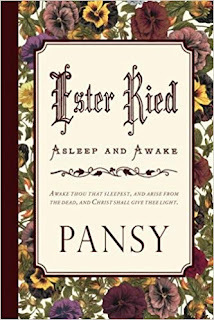 Characters from previous books such as Ester Ried, Julia Ried, and The King's Daughter meet in this volume which is the fourth book of the Ester Ried series. A wayward pastor, social prejudice and the dilemma of dealing with haughty and prideful individuals made this book one that had me turning pages deep into the night. It wasn’t thrilling by any means, but somehow the plight of all the characters twisted my heart in just such a way that I had to know how it ended. Those were my favorites and I hope you will check them out, but below are a list of even more great books by Isabella Alden. All in all, I hope you will look into Isabella Alden. 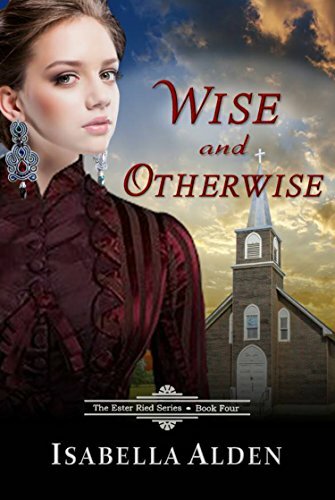 Her books were inspirational and written near the start of what would become the vast industry of Christian Fiction. You can learn more about Isabella and read some free novels and short stories at isabellaalden.com. Subscribe to the Bookworm Banquet so that you don’t miss out on the next installment of Forgotten Treasures! Victoria Lynn is a “Jane of all trades” who seeks to master them. 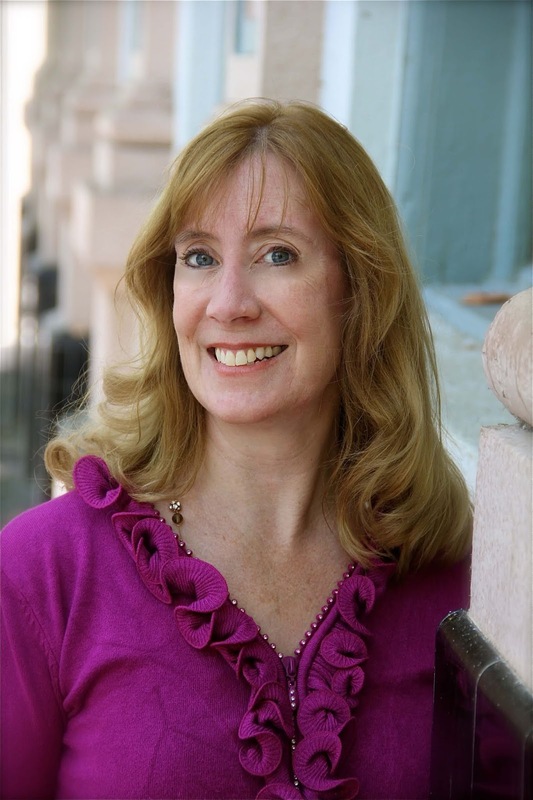 She runs several small businesses and is an indie author with a passion for literature and the written word. She lives in the glorious state of many lakes, Michigan, with her parents and eight siblings. She devours books and likes to say that if she could get paid for every book she has read, she would be a millionaire. Some of her favorite things to do include writing fiction, learning new things, acting, creating something with her hands and playing the piano or singing. She also is one of the founders of Ichthus Family Productions and seeks to honor the Lord in all that she does. Well, this is a challenging review to write. Instead of being "Between Two Shores", I am between two minds! A lot of historical research was obviously done in preparation for the writing of this novel. As a historical novel, it is an excellent specimen! The placement of rivers, cities, and battles, movements of porters, trappers, and troops, and the intertwining of alliances, hostilities, and nations is breathtaking in its magnitude. The reader can certainly feel the mood of the era, that is, if you take the time to read all the detail. As a self-confessed speed reader, I found myself often skimming large passages of explanation of trade routes and names of rivers and their intersections. If you are a history buff, you would enjoy the description immensely as it is very well written, just not in my interest range. The plot line is very intricate and makes use of going backward in time to recount events and then jumping back to present time to build on those events. Again, for me, this is no problem, but I do know readers who do not care for this style and get confused with who did what when! The daughter of a Mohawk mother and French father in 1759 Montreal, Catherine Duval would rather remain neutral in a world tearing itself apart. Content to trade with both the French and the British, Catherine is pulled into the Seven Years' War against her wishes when her British ex-fiancé, Samuel Crane, is taken prisoner by her father. Samuel claims he has information that could help end the war, and he asks Catherine to help him escape. Peace appeals to Catherine, even if helping the man who broke her heart does not. But New France is starving, and she and her loved ones may not survive another winter of conflict-induced famine. 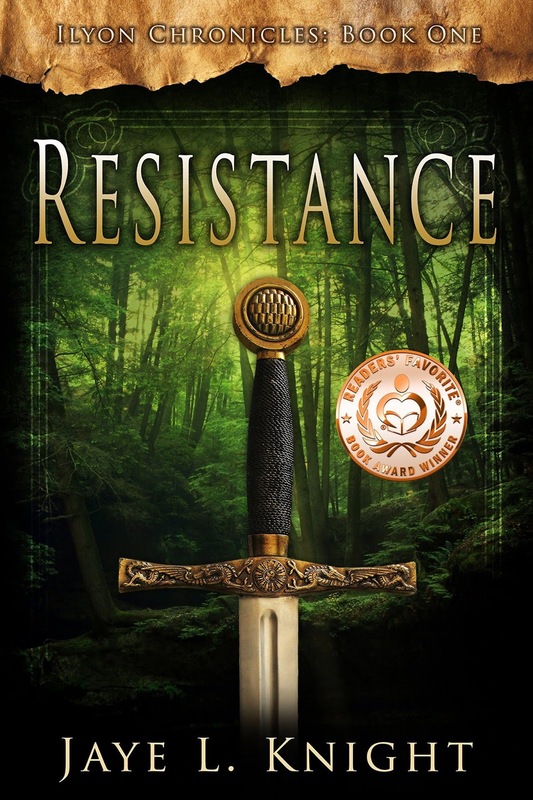 When the dangers of war arrive on her doorstep, Catherine and Samuel flee by river toward the epicenter of the battle between England and France. She and Samuel may impact history, but she fears the ultimate cost will be higher than she can bear. Between Two Shores is not a light read and is much more realistic in its presentation of life than I have found many novels to be. The main character, Catherine, faces a life filled with hardships, decisions, and consequences of decisions. The first half of the book has a deep undercurrent of anger, bitterness, and a struggle to be loved. I feel deeply when reading, so I was bothered by the continual grating pain that influenced every conversation, remembrance, and choice. I began to feel Catherine's struggles and wonder if she would ever see the light of day in her spirit. The book had a bogged down, sluggish feeling at this point. The second half of the book gets going again and provides the context for Catherine's deliverance from her inner pain, and I was glad to find that she finally came to a calm acceptance of all life had been. 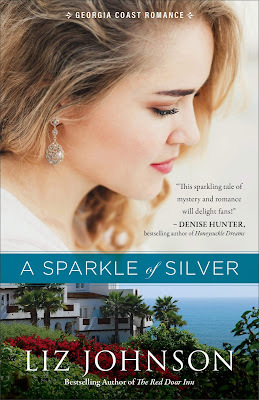 The book certainly does not have the tidy happy endings that I have come to expect from most novels, but it did portray a realistic ending that should resonate with many. In summation, this is a deep book. There are no easy answers or clear paths laid out, but there is an eventual peace that does come. Read with the knowledge that you will be challenged and may not particularly "like" every part when it doesn't go the way you may wish! I would recommend that those under the age of 18 not try to digest this novel for the familial strife, drunken violence, descriptions of battlefields, and torture practiced by Indian tribes. Though well written and never intentionally crude, these topics can never be made pretty. 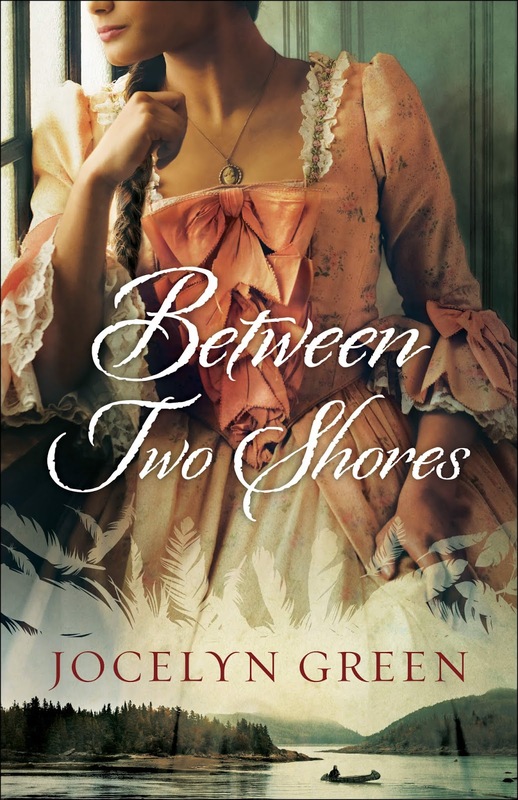 Between Two Shores is an excellent and thought-provoking historical fiction novel. Just to be clear, I would not call this a romance novel at all. I give it 4 out of 5 bookmarks merely because I didn't particularly relish the detailed geographic descriptions and because it drug through so much back story before really getting going. 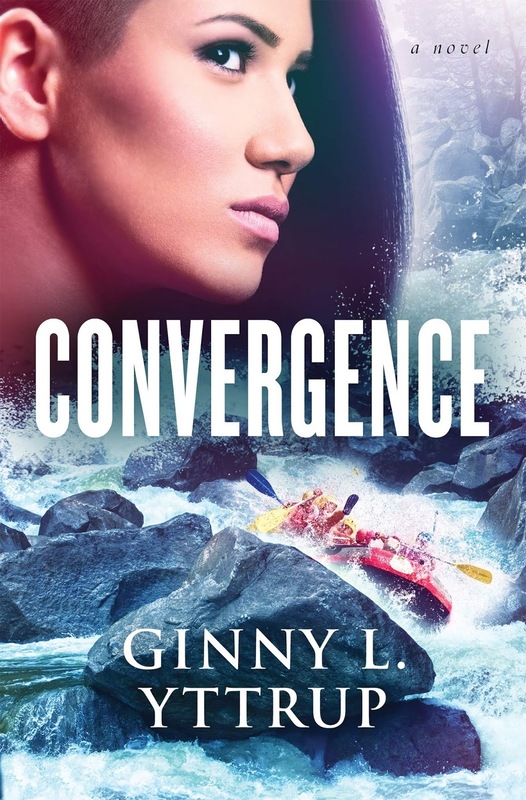 Ginny Yttrup is the award-winning author of several women’s fiction novels, but her newest release, Convergence, published in March of 2019, marks her debut into the suspense genre. I had never even heard of this author until I found Convergence, but wow, I think I’ve been missing out. I was completely floored by this book. This is one of the most complex stories I've read in a really long time. Dr. Denilyn Rossi is a psychology professor, but she still deals with debilitating fear and PTSD over events that happened eight years ago. This character is so incredibly multi-faceted, it takes the length of the entire book to unravel all her complexities. And there are loads of plot twists along the way. Despite how intricate her character was, I was still able to relate and empathize with her on many levels throughout the book. I feel that in suspense novels, characters and their development can tend to get lost in the plot and action of the story—which is always disappointing for this character-driven reader—but not so in Convergence. Regarding the plot, I don't even know where to start, or what I can say without giving too much away because, as I mentioned above, this novel is so complex. However you think this story is going to go, you’ll probably be wrong. There will be a multitude of twists and turns before you reach the end, and the suspense keeps you turning pages. From page one, it grabbed my attention and I did not want to put it down until the end. As I mentioned, I have not read any of Yttrup's previous books, but I greatly enjoyed her writing style and will definitely be checking out more of her work. The themes of fear and faith she weaves throughout this story were masterfully done, touched my heart in so many ways, and really makes the reader think. 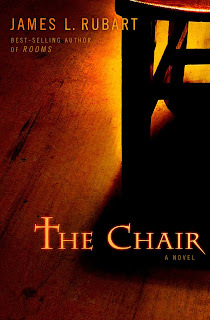 Overall, Yttrup pens a complex and unique novel of suspense and faith and knocks it out of the ballpark. I highly recommend Convergence to lovers of suspense novels filled with faith and solid characters. Sarah Grace is a voracious reader, and if it weren’t for this crazy thing called “Life”, she’d be tempted to spend all her days in front of a woodstove, book in one hand, coffee mug in the other. A lover of learning, she finds enjoyment in many things, and has more hobbies than she knows what to do with. When not reading, spending time with her ever-growing family, or buried in a textbook, she can be found painting, playing the piano, producing music and audio dramas, web designing, fangirling with her sisters and friends, or discussing technology with her brothers. Sarah Grace inhabits the State of Great Lakes and wouldn’t want to live anywhere else. This is the final volume in the Cimarron Creek Trilogy which is set in 1880s Texas. It is best if you read the three books in order. 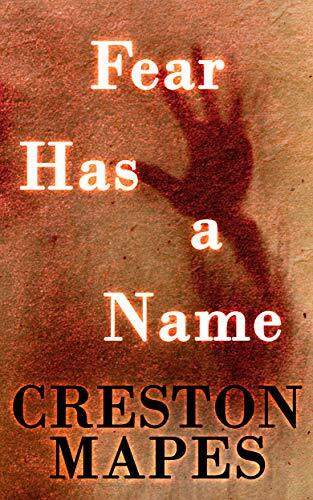 One major plotline in this book (Aimee’s) is carried through all three installments and makes a lot more sense if you know the background of what has been going on in Cimarron Creek. I loved watching that storyline arc through the trilogy to a satisfying conclusion, and all of the couples were a joy to get to know. Seeing plenty of the couples from prior books was a fun plus in this story also. Thea, Jackson, and Aimee are the main characters. Thea is the new midwife for Cimarron Creek and has just recently lost her husband and baby. ((if you have read Cabot’s other novels, you’ll recognize Thea as the little sister to Sarah from Paper Roses, but it's not necessary to read any of that series to know anything prior about Thea.) She's left Ladreville to get a new start in Cimarron Creek away from painful memories. I loved her pluck and also her soft heart, especially when she can't resist taking in a baby that Jackson found alone in the middle of nowhere and brought to town to find help for, even though the pain of losing her own baby is still so fresh that it hurts her to even think of being near him. It is so easy to feel for Thea because I've known so many people who lost husbands or babies, and it's easy to imagine how her heart has been wrenched in two over a twin loss. I also admired how she picked herself up, befriended Aimee, and set off to start a new life away from her painful memories. I was fully in her court from the first chapter and enjoyed getting to know her better through the story. 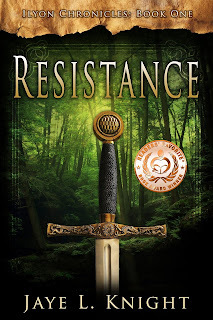 Jackson is a Ranger on the track of some longterm thieves who have proven very hard to catch and he's finally got a bit of a lead: Thea Michener herself. Of course, Thea would be happy to help him catch a criminal, if they can just figure out how she's connected, and this facet of the story was very absorbing to me. He's a rough-around-the-edges sort of guy, but a good lead character. I really connected with him over some sorrowful stuff in his past and was rooting for him in his passion for justice and his drive to chase down the bad guys. His scenes gave a dash of action and a sense of urgency as he dreads who the band will kill next and questions his ability as a Ranger to catch them before they hurt someone else. Aimee was my favorite, though. She grew up in France and recently lost her parents. She can hardly believe it when she finds out she was adopted from Texas when her parents were in America on a visit. Now that her parents have died, she has come back to Texas to seek for the biological mother who gave her up so many years ago. Her gentle spirit and her staunch friendship to Thea easily won me over. And the scenes with her in her new job were just precious; you'll have to read to see why. 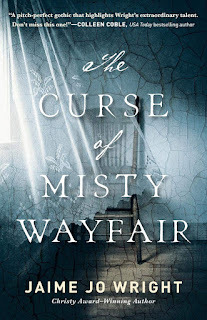 I wish I could talk more about Aimee, but anything I say would be spoilers for the whole series because her story is connected to all three books--so I'll refrain and recommend for you to read about her yourself! There are a couple of very subtle scenes with childbirth and also a murder, but nothing really "on screen". I'll definitely be reading what Amanda Cabot writes next, as well as catching up on others from her backlist. I'd recommend this book to lovers of historical fiction, western novels (since it has a rangers-and-outlaws vibe), and folks looking for a good small-town story. Check out A Tender Hope on Amazon. Hannah Gridley has been a dedicated bookworm since the age of 4. 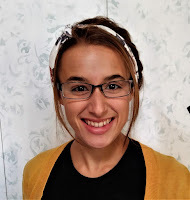 By day she works for a local nonprofit; in her spare time she works in a bookstore, teaches music, plays violin in two local orchestra groups and in her church, and enjoys hiking. Favorite reading genres include Christian, historical fiction, suspense, and vintage/classic novels. When she isn't working, writing, or reading, she spends money adding books to her home library or collecting fountain pens and fancy inks. Who's with me on loving a good spy story? How about a mystery that keeps you guessing until the last page? Kate Breslin's books always tick both boxes for me, along with giving me deep suspense and sweeping (but clean) romance. The only thing I dislike about her is that she doesn't publish books every other week! In this book, Colin is our hero. He is perhaps an unlikely one; he has come back from the trenches minus a hand and is still learning how to live with a prosthesis while working through a case of shell shock (now known as PTSD). He has been assigned to a post on the English shore working with carrier pigeons and is handling and decoding messages they bring. He's working through the sadness of being within hearing of the shelling of Paris, the challenge of being determined to remain strictly independent despite having just one hand, and feeling sidelined because he isn't carrying a gun into the trenches anymore. When he receives a carrier-pigeon message from Jewel Reyer, the woman who saved his life the first time he was wounded, asking him to meet her in Paris, he drops everything and begs his handler, Lord Weatherford (who we met in another of Breslin's books, Not By Sight), to allow him to go to the meeting despite that danger. Weatherford agrees, giving him a contact name in Paris to check in with. Johanna Reyer, daughter of an artist and a free-spirited woman who recently died in the Irish Easter Rising, is desperate to find the sister she never knew about. 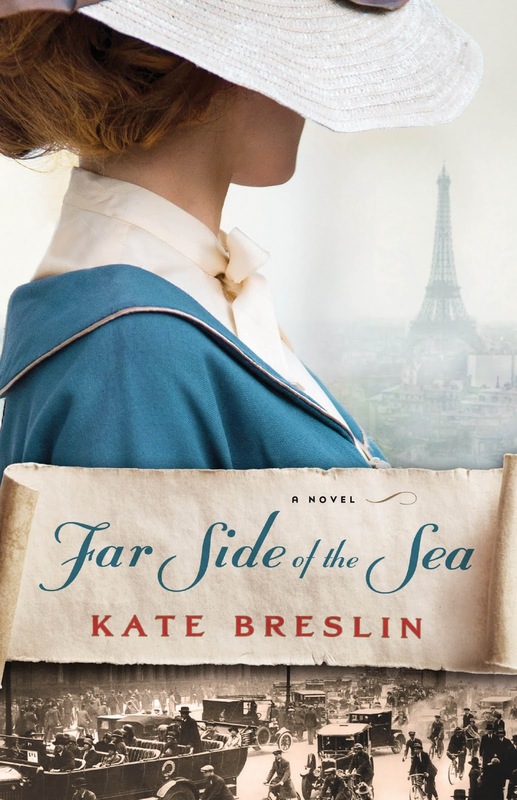 She went to France in hopes of finding her long-lost father, disdaining the dangers of war, only to find him long gone and her sister Jewel recently disappeared. She takes over her sister's place caring for the carrier pigeons, but worry for Jewel forces her to take the desperate step of trying to contact the man whose name is prominent in her sister's journal. In a cloak-and-dagger thriller, Colin and Johanna are in for a game of cat and mouse with an enemy willing to do anything to get to the finish line first--even to the point of separating Colin and Johanna and making them distrust each other. Who's the real traitor? Colin is a determined fellow, and I really admired his determination and his "fight"; whatever he sets out to do, he's bound and determined not to leave unfinished. Tenacity is a great quality in a hero and one of my favorite qualities to read, especially since attention to detail is really what "makes" the character quality and less detail can make the character seem controlling or stubborn instead. Breslin delves into his motivations and his internal questions, making his character show clearly which fully engages the reader from his first attempts to dress, shave, and eat with one hand to the final showdown. My favorite qualities in Johanna are her loyalty and her soft but staunch heart. She doesn't hold grudges and pout; she picks herself up and goes forward. She's not abrasive, but she is determined, and nothing is going to keep her from doing her level best to find and help her sister. Even contacting an English stranger in the middle of a war to help her find Jewel isn't something that would stop her. I loved her for it, too. Don't we all hope our own sisters will go to the ends of the earth for us? While there are recurring characters from other books (more from Not By Sight than High as the Heavens) the plot does not carry over at all and this book stands alone. There is very little spiritual content, but it's obvious that the characters rely on God. There is not a spiritual lesson to learn, but they are believers. As for other content: there are a couple of kisses, a bit of wartime violence, and Colin's favorite swear is "Titan's Teeth!" which he uses fairly frequently. All in all, this fourth novel only solidifies Kate Breslin's place as one of my top favorite authors. I'm still hoping the mysterious Marcus, a spy who's made brief appearances in all three of her WWI novels, is going to get his own book soon! I recommend Far Side of the Sea to both male and female readers who enjoy a solid suspense/mystery story. This book does have a romance element, but the action angle is more prominent. 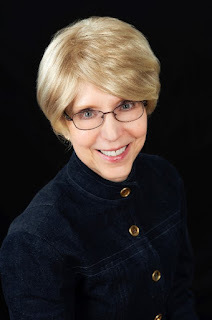 Editor's Note: Driftwood Bay is part of the Hope harbor series. Click here to see more books in this series. Irene Hannon is an incredibly talented author and knows how to weave together a cohesive plot with realistic and loveable characters. It is no wonder she is a seven-time RITA Award finalist and three-time winner. But I will be honest and say that I tend to be skeptical of her works—particularly her romances—as they just aren’t always my cup of tea. But when I saw Driftwood Bay, the synopsis really grabbed my attention, so I thought I’d give another a try. And I am very glad I did! From chapter one, I fell in love with Logan West’s character. He’s kind and caring and doing his level best to connect with his grieving five-year-old niece, of whom he now has custody. But he’s also insecure and very real in his struggles to care for a little girl, and that just makes him such a relatable character. His niece, Molly, is also a very sweet character, and while the reader only enters her point of view once or twice, you nonetheless quickly fall in love with her as well. Jeannette Mason is also a very solid character, and very relatable, but I didn’t click with her as much as I did the other characters. While Logan and Jeannette are our main characters, we also enter the point of view of a Christian Syrian family fleeing persecution. I think that subject is a very relevant one right now, and Hannon did a fabulous job weaving that topic into the story. I loved getting into Mariam’s and Thomma’s heads and seeing firsthand some of the tragedies they went through. The plot maintains a nice pace that keeps you engaged from beginning to end, and these characters will quickly find a place in your heart. As I mentioned briefly above, I didn’t particularly care for the romance, and that’s the reason I docked half a star from my rating, but that is only my personal preference. I did appreciate how the romantic thread played a more backseat role compared to the other storylines. 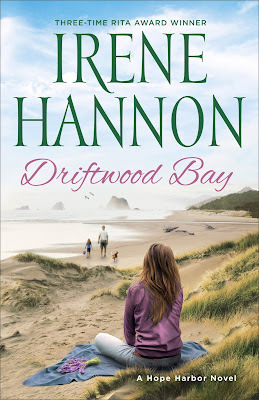 All in all, I greatly enjoyed this release from Irene Hannon! 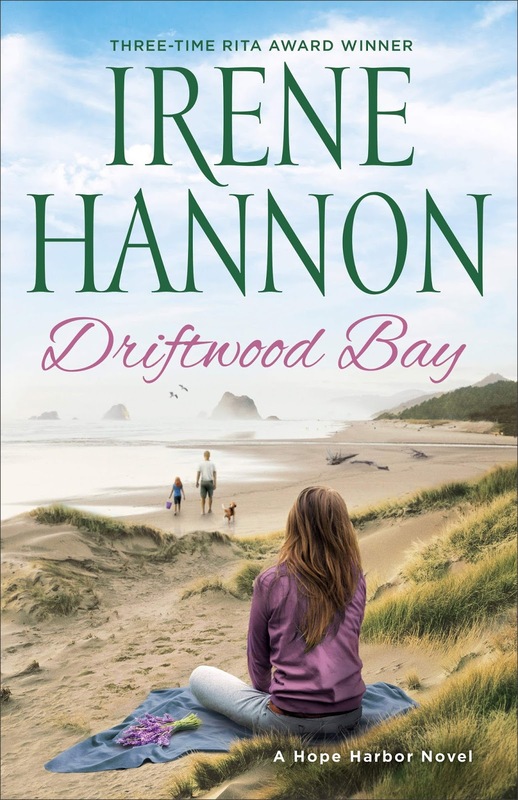 If you are looking for a romantic, cozy, beachy read, definitely check out Driftwood Bay! This book was my first story by Judith Miller. I'd avoided her work for a long time under a nebulous idea that her books might be underwhelming or saccharine. However, I grabbed a copy on impulse after my friend kept telling me how much she was loving the book. I was wowed by a colorful story of Florida life and Greek culture that is sure to stick with me for a good long while. Zanna Krykos could easily be the stereotypical modern heroine: a historical woman discontented at home, hesitant to marry, following a mostly-male career, and very sure of her own opinion and perceptions. But Miller takes all that and goes beyond stereotype by plopping her right in over her head: her dear friend Lucy inherits a fledgling sponging business and needs some help. Zanna to the rescue! She is a lawyer and most importantly she speaks Greek. Lucy's new employees are arriving from Greece (which was apparently the sponging center of the universe) to try to start up a company to harvest the numerous sponges in the Bay. Lucy doesn't speak a word of Greek, the workers don't speak a word of English, and Zanna's her only hope. Single master diver Nico Kalos is leading his men to a new land to ply their trade and send money back home to loved ones. He can hardly believe it when he finds the promises made to him about the job are false and the man who promised them newly dead. Two women who haven't the slightest clue about the job or the essential safety requirements are the leaders now, and Nico's stuck: there's no money for fare to return to Greece. The last thing he'll do is let these headstrong women endanger his men or refuse to live up to the promises that drew his group away from the families and homes they loved. He can't speak enough English to communicate with his new boss, Lucy, but he can sure speak to fiery and pretty Zanna. Sparks fly fast between these two. Wow, I learned so much about sponging and diving! I was fascinated by all that went into it and amazed by the dangers that the divers faced. This part of the book was really well done and interesting. What held it back from a five-bookmark rating for me was just a couple of things. Zanna is a lawyer, but we aren't told much about her job or what made her want to go into it. Not much about how she learned it or anything about her other clients. She has some kind of office but I kept waiting to really see her helping people there. Also, we get lots about Greek culture but very little about historical Tarpon Springs itself. I'd have like a more detailed city setting and a bit more about the job/calling that drove Zanna. In terms of a content advisory, there isn't much to say. There are a few kisses, a death, and an attempted drowning. I'll definitely be seeking out more by Miller now! 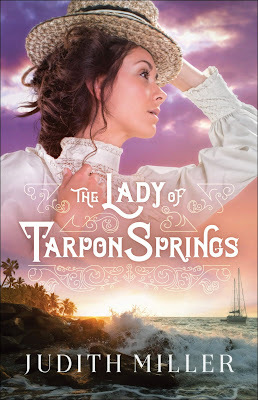 Check out The Lady of Tarpon Springs on Amazon. 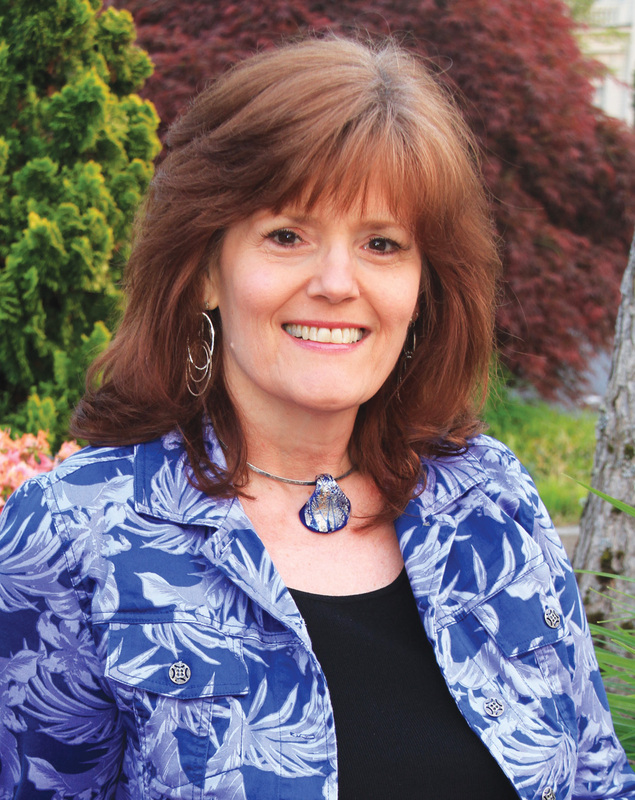 Elizabeth Goddard is the author of numerous titles for Harlequin’s Love Inspired Suspense line, as well as several titles for Barbour Books, including the 2011 Carol Award-winning The Camera Never Lies. Never Let Go is the first in her new Uncommon Justice series, published by Revell. Both the description and the cover immediately grabbed me when I first saw this book. Forensic genealogy and a cold case? I’m in. 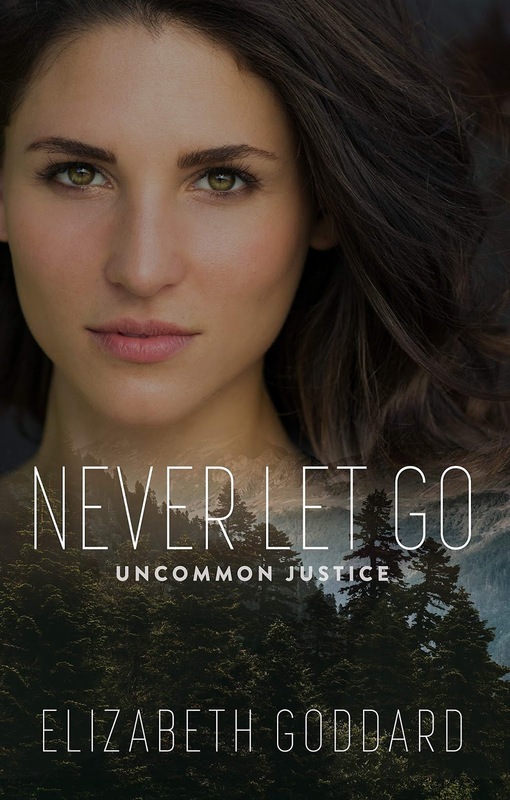 Our main characters, Willow Anderson and Austin McKade, both have emotion-packed backgrounds, and when they find themselves thrown together once again, they are forced to face their pasts. While I personally struggled to relate to the characters and understand their decisions, they are nonetheless soundly developed characters. Frankly, I enjoyed the secondary cast of characters more than the main ones. Heath McKade, Charlie Clemmons, and even John Houser are incredibly complex characters that I greatly enjoyed reading about. Goddard certainly knows how to develop a plot that keeps you on your toes! 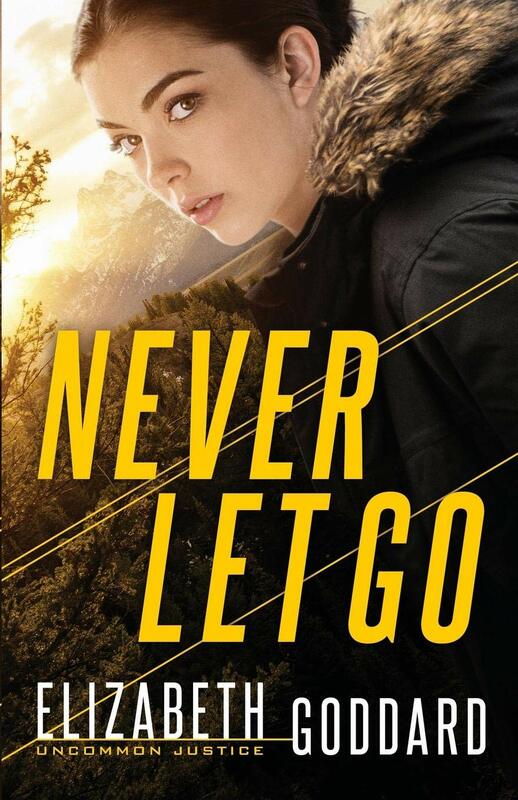 With numerous twists and turns, and loads of action and suspense, Never Let Go will keep you reading late into the night to reach the final outcome. Just when I thought things were starting to resolve, they only got worse. I lost count of the number of plot twists. Goddard’s writing style is very laid back and casual, and while I can’t say I enjoyed it overmuch, I think others would. I was also somewhat confused as to the villain's motive. I feel like that was revealed too quickly at the end, and therefore wasn't thoroughly fleshed out. My other main complaint would be the romance and the amount of romantic tension. Unfortunately, I found myself more annoyed with it instead of rooting for the characters, but that’s just based on my personal preference for romance. 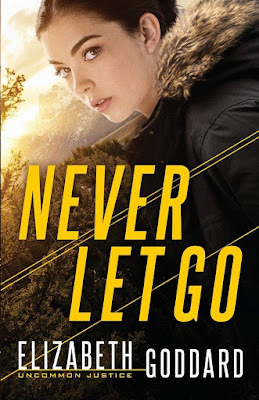 Overall, if you are looking for a book with loads of action, suspense, and romance, this is definitely one to check out! I am looking forward to reading Heath’s story in Always Look Twice come October 2019! 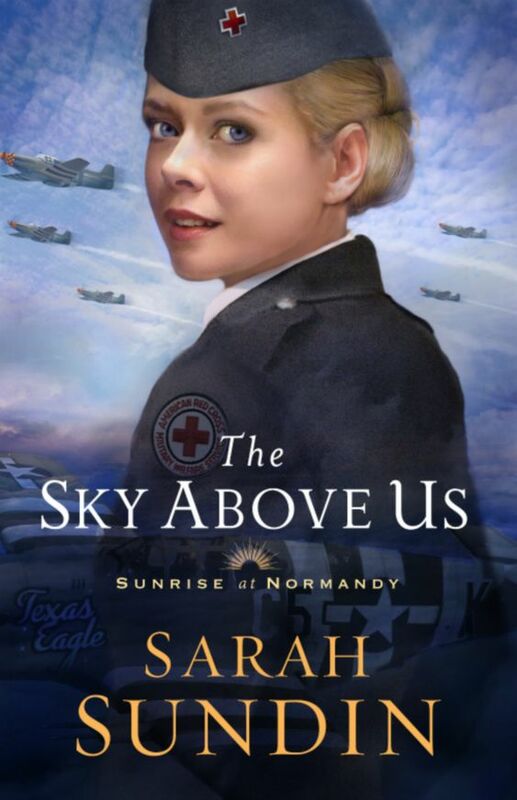 Editor's Note: The Sky Above Us is Book #2 in the Sunrise at Normandy series. You can read Victoria's review of Book #1, The Sea Before Us, here. Sarah Sundin has a knack for writing historical fiction. There is no doubt about it. Not that I should be surprised. She has, after all, written many WWII novels, but this one is something special indeed. Violet Lindstrom wants to be a missionary, but for now she serves in the American Red Cross, arranging entertainment for the men of the 357th and setting up programs for local children. Drawn to the mysterious Adler, she enlists his help with her work and urges him to reconnect with his family after a long estrangement. Despite himself, Adler finds his defenses crumbling when it comes to Violet. But D-day draws near...and secrets can't stay buried forever. The main character, Violet, was one that I could relate to, in ways that I wish I didn’t. I almost felt a little vulnerable as I saw a lot of my old thinking reflected in her beliefs and the subtle ways that she was believing the right thing for the wrong reasons. Violet's male counterpart main character, Adler was a bit of a surprise and refreshing in the sense that his backstory and character were so against the norm for your typical historical romance hero. Instead of being a perfect, gorgeously handsome and downright swoon-able man, he was instead a swaggering, prideful, broken mess with a past that would make most of us cringe. But the beauty of the story were the themes. Heartbreaking and heartwarming messages of God’s forgiveness, his mercy, repentance, God’s true mission field and more made this book one that I really enjoyed. Let us not forget the awesome play-by-play of the in-air firefights. The descriptions and action were amazing and very detailed; I could clearly picture it. The intensity of the battles really struck home with the realization of what they actually went through and it gave me a new perspective and appreciation for those who currently fight and have fought for our country. Sundin does her readers a service in the way that she honors those who serve as well as their families. A consideration which I find beautiful as well as eye-opening. Violet’s struggle to find her true calling and listen to the Lord’s voice as well as her realization that each person's mission field is as unique as they are themselves, was a message that I found truly inspiring. The reminder that sometimes God calls us to mundane tasks and things that might not be grandiose or might not seem very important was a theme that I found greatly refreshing. All in all, I really enjoyed this book and would recommend it to anyone who enjoys historical fiction. While applicable to the story, I would warn against some content as there are mentions of a character's actions (i.e. sleeping with his brother’s girlfriend while drunk) which he greatly regrets, but nonetheless, it is still mentioned in the book. So I would definitely recommend this to older readers. Victoria Lynn is a “Jane of all trades” who seeks to master them. She runs several small businesses and is the girl behind the blog, Ruffles and Grace. She is an Indie Author with a passion for literature and the written word. She lives in the glorious state of many lakes, Michigan, with her parents and eight siblings. She devours books and likes to say that if she could get paid for every book she has read, she would be a millionaire. Some of her favorite things to do include writing fiction, learning new things, acting, creating something with her hands and playing the piano or singing. She also is one of the founders of Ichthus Family Productions and seeks to honor the Lord in all that she does.